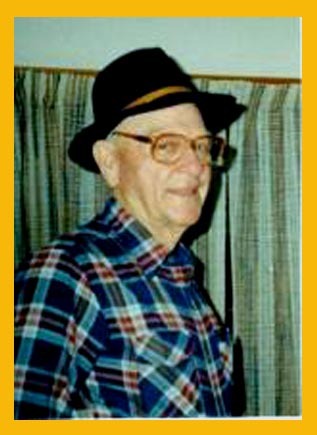 Sherman Alpha Osborn, 86, passed away Saturday, July 2, 2011 at his home in North Miami, Oklahoma. Sherman was born March 25, 1925 in Flippin, Arkansas to Dea and Iva Lee (White) Osborn. He served in the United States Army during WWII. He was a member of the Cardin Baptist Church and lived in Cardin for 70 years before moving to North Miami because of the buyout. He was also a 32 degree mason and a master mason. He is preceded in death by his first wife Alice Marie Osborn who left his side in 1996, he is also preceded by one sister Deveral Black, and an infant son Ronnie Dea Osborn. He was a welder for Eagle Picher for several years and also Crane services. He married his wife Jean Craig-Osborn on May 12, 2004 in Bentonville, Arkansas and she survives him of the home. Sherman is also survived by one son: DeWayne “Bo” and wife Sheila Osborn of Perkins, Oklahoma, two sisters: Develta Stine of Kansas City, MO, and Bernice Richardson of Independence, MO, four grandchildren: Dwayna “Jo Bob” Abernathy, Dustin Osborn, Katie Miller and Matthew Osborn, 2 great grandchildren.